타래 ( OPENING THEME ) '우리집 아기고양이 드라마CD VOL1' Produced by SQUARE MUSIQ 작곡 : EunoH 작사 : DoubleTo 보컬 : 누리(CV.방연지),소라(CV.여윤미),유라(CV.김채하) Mix & Mastering : TMDC (SQ Lab) 2016 (C) SQUARE MUSIQ. All Rights Reserved. 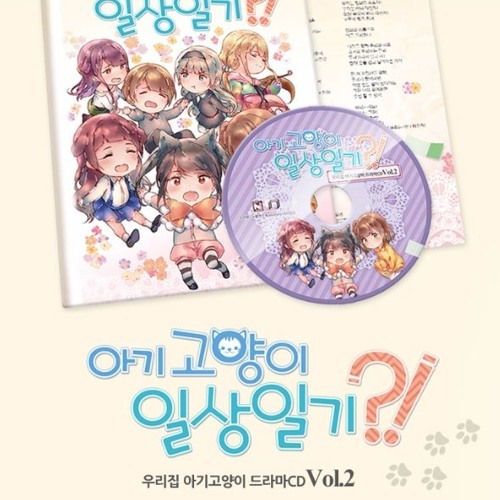 이걸 다시 구하는 방법은 정녕 없는 것인가!